Sylvie, Joe, Janey and Rufus Moffat love living in the Yellow House on New Dollar Street. They are therefore horrified when a "For Sale" sign appears outside what they have always considered to be their home. Mama explains that there is nothing that they can do about the situation. The owner of the house has been hit by "hard times" just like everyone else and he wants to sell. When the house sells the Moffats will just have to move. In the meantime, while they are waiting for the axe to drop, the children are far from idle. Janey, who has always been terribly afraid of the chief of police, discovers that he is not such as a bad fellow after all. In fact he is quite nice. Unfortunately, Janey has to have an unplanned, accidental incarceration in the bread bin outside the local grocery store before she discovers this. It is the Chief himself who finds her in the bin and who takes her home to a worried Mama. Rufus also has an adventure which is quite exciting. He ends up being given the job of making sure that one of the local boys does not run away on the first day of school. Poor Rufus, for the job turns out to be a very difficult one. The little boy is quite determined to run away and so he does, with Rufus right behind him. In the end the little boys take a train ride and they almost end up in New York City. Thankfully, someone finds them before they get that far. On another occasion the Moffat children are going to church one Sunday when they meet a Salvation Army captain driving by in his wagon. He offers to give them a lift to their church if they will drive the wagon and thus give him the chance to have a little snooze. Alas for the captain, for what should have been a simple drive turns into quite an adventure. In the end the children never get to church and the captain never gets to his meeting. 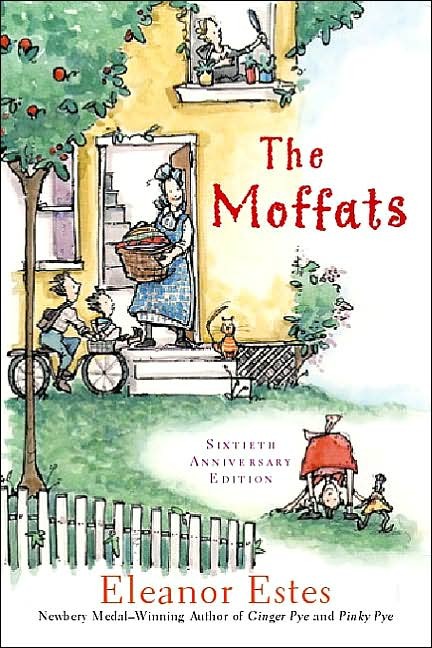 Readers will find it very hard not to fall in love with the wonderfully colorful and charming Moffat family. Their adventures and misadventures are often delightfully funny, and one can just see how these sorts of things could happen – if you are like a Moffat that is. With great skill, sensitivity, and warmth Eleanor Estes has created a world which readers will be able to enjoy to the full. Even though this book was originally published in 1941, it has stood the test of time and it is still as enjoyable as ever.